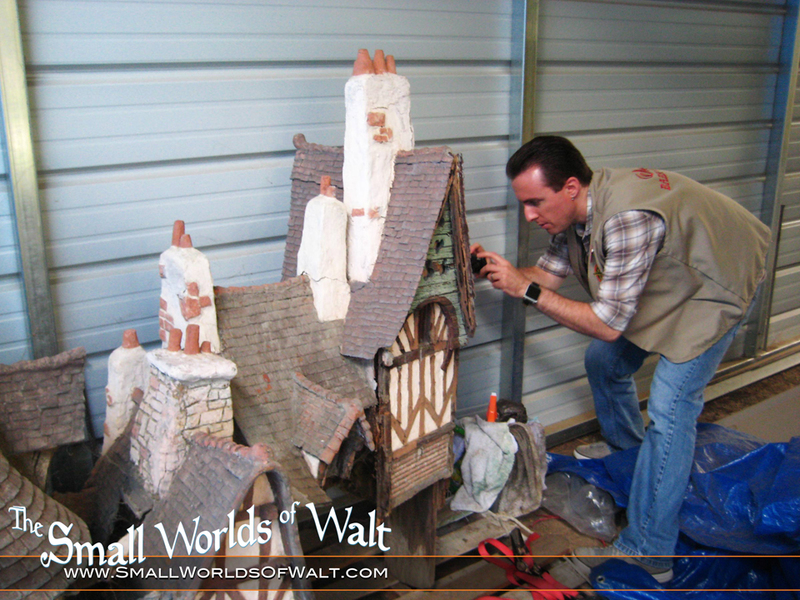 Published on July 5, 2013,	by Rob Fendler in Storybook Land, The Small Worlds of Walt Exhibit. Rob documenting the condition of the village. This image also gives you a sense of how big these miniatures are. Who is doing all this work, you ask? That would be me, barn volunteer and Disneyland history nut, Rob Fendler. My day job is in the animation industry where I fill a variety off roles as either an Animation Director, Storyboard artist, or Flash animator. When it comes to Disney related work, I most recently directed the Disney Online series Swampy’s Underground Adventures based on the incredibly addictive mobile game Where’s My Water? If you’re interested in seeing more of my work you can check out my website. Thanks for stopping in and learning more about this project and my own personal quest to make sure generations to come will learn something about Walt Disney and the other amazingly talented artists that created Storybook Land.